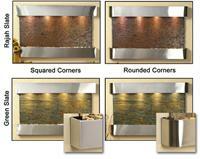 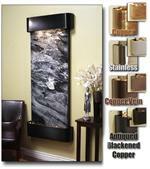 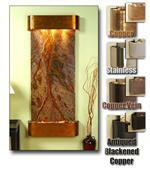 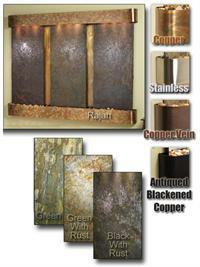 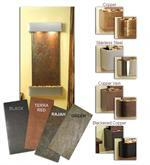 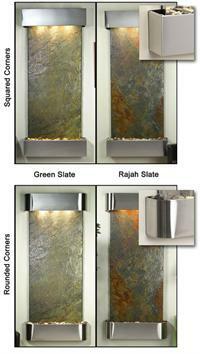 This collection of stainless steel fountains will enhance the beauty of any home or business. 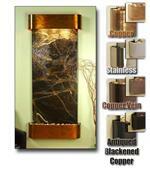 All of them are perfectly suitable for use as an indoor fountain; please contact us if you need one for an outdoor application. 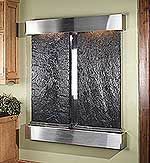 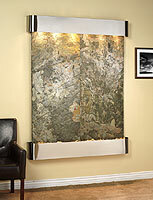 The wall fountains in this collection are designed with a stainless steel framework with either a stainless steel, glass, or slate water panel. 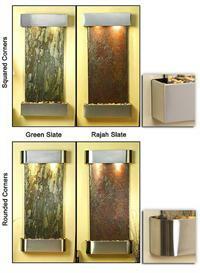 All of our outdoor and indoor fountains include free shipping within the continental US!